AR: Well it was a carefully thought out plan, being a fashion marketing graduate from PIFD I had always seen my self working in the marketing field and being a peoples person definitely helped. In PR you are always on the go and every day is different and I thrive on this constantly changing and evolving nature of the PR business. Setting up a company was only a natural progression in the grand scheme of things. We are called AR|PR. AR: Social media is great, I totally love it and love how it has “re-written” many established rules of the PR and marketing game. Also known as new media marketing, social media is now well and truly a fundamental part of all PR strategies global and locally. It has also wonderfully bridged the gap between qualitative and quantitave aspect of the PR business, making it possible for businesses to properly gauge the return on their PR and Marketing spend (ROI). Social media has also become one of the strongest tools for communications and has played a role of a catalyst in the way how marketing communication has now become so fast paced. So yes that means not time to sit and twiddle your thumbs. AR: Not everything that shines is gold! And thats exactly what PR is. PR from outside looks very glamorous and all fun and games, however it puts you in a lot of pressure, there are late nights at work, hours spent on phone enabling coordination and a lot of effort goes into execution of flawless campaigns. Every client even from the same industry has a different set of requirements which keeps you on your toes 24/7 and its not easy! However, my work doesnt tire me or leaves me helpless because if your work excites you and you are passionate about it, everything becomes easier. And that’s how it is. So put your heart into what you want and you will just enjoy every bit of it. AR: Success cant be measured! It is ever growing for me! However, I have set one standard and that is of contentment and happiness! And I think I have reached that so yes I do feel successful. AR: Well in this field, its extremely hard because there’s no fixed timing but there is a certain routine that I make sure I follow! I make sure I feed and bathe my son and an hour before going to bed I make sure I unwind and relax myself. Family is my priority, they have a huge part in keeping my sanity intact. Also it helps when your life partner is also your work partner. We are called AR|PR where A stands for Aden and R stands for Rehan. 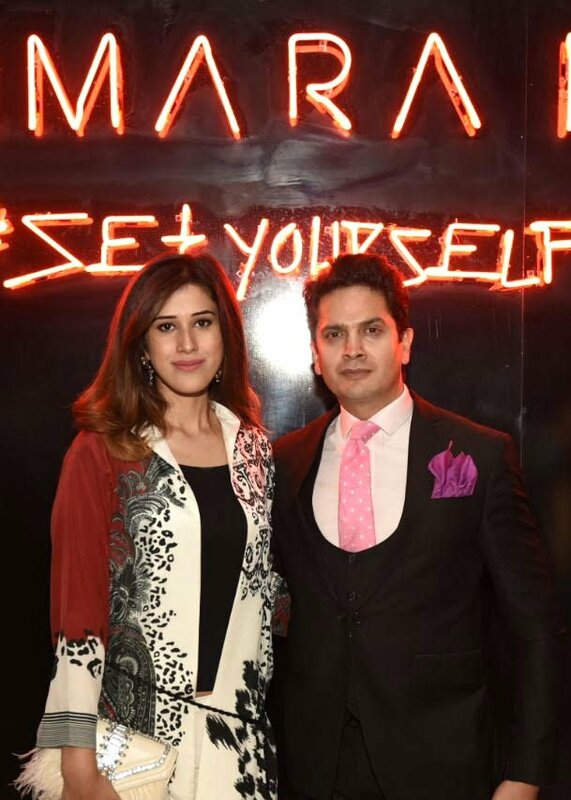 Rehan, my husband has always been there from the outset, encouraging and supporting me to realise my true potential, so having him beside me helps me achieve the work/life balance. AR: My husband is my super power, he helps, supports and takes me out of any kind of difficulty I face, His support and love keeps me going and dreaming big. Another super power would be my patience – I am generally a calm person who looks at positive angles before jumping into negative conclusions. AR: I am a social media-holic if any thing like that exists. I love Instagram – its visual and quick! AR: PR is not for the weak-hearted you have to be able to give 100% of yourself if you want to be here and successful! And most importantly, never stop learning! I would say before choosing this as your career path you should try and do an internship within a PR firm and only do it if you can handle the pressure and feel you can remain passionate. Else your work will soon become stale and your output suffer and the world of PR is not very forgiving if you don’t put money where your mouth is.